Before talking about non-linear radio, I would like to have a look at how non-linear distribution of content has impacted viewing behaviours for millions on TV. If you ask me if I’m a frequent TV viewer I’ll be tempted to say no. I don’t know the programming of any TV channel, I don’t have the habit of sitting in front of the TV every Wednesday at 9pm (or any other day, time). I simply don’t consume linear TV. Being honest with myself, I should admit that I am, actually, a compulsive TV viewer. I caught up with Game of Thrones devouring four seasons in less than a month. I’m often one of few enthusiastic adopters of series that are later cancelled due to disappointing ratings (like with Defying Gravity). Yet worse: when last season of House of Cards released, I clicked on play in my online service (I confess, it wasn’t Netflix but Popcorn Time) and didn’t stop until the last second of the season finale (yeah, I know… not the most exciting weekend of my life). I did it again with Sense 8 (oops). For years already, many viewers – as myself – have totally abandoned linear TV, but are actually consuming more TV content than ever. The success of Netflix says it all. Let’s think for a second how we ended up here. Non linear TV started with the ilegal distribution of linear TV. Torrents, direct downloads or web streaming. Millions of users downloading/streaming TV series or shows for avoiding subscriptions to pay channels. European viewers downloading American series for watching months before they were released in our countries. Netflix simply introduced the flat-rate for as-much TV as you can/want eat, like Spotify had done with music. And then, Netflix started analysing the data from millions of users and learning what they liked and how they watched. They started creating their own content. They actually did much more than that. 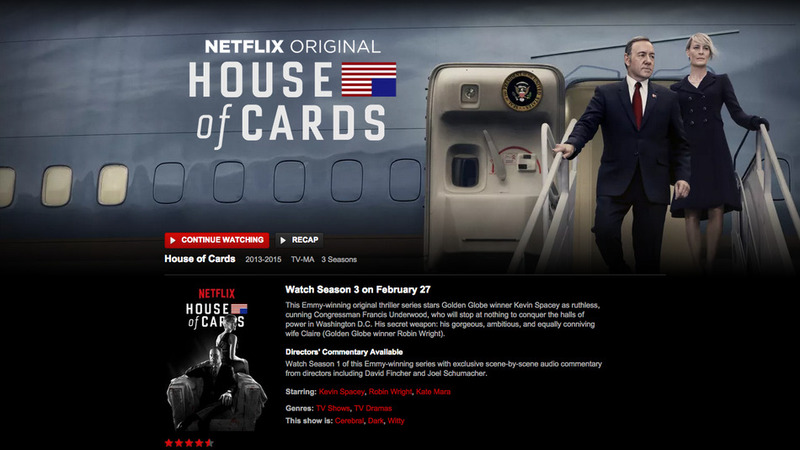 Netflix started using data for cooking TV hits: House Of Cards, Orange Is The New Black, Sense8, etc. And releasing them in a new way: entire seasons at once. And we, addictive TV viewers, jumped in. Less consumption of linear TV doesn’t mean, at all, less TV viewing. And companies like CBS know that. Is non-linear radio replicating the process? 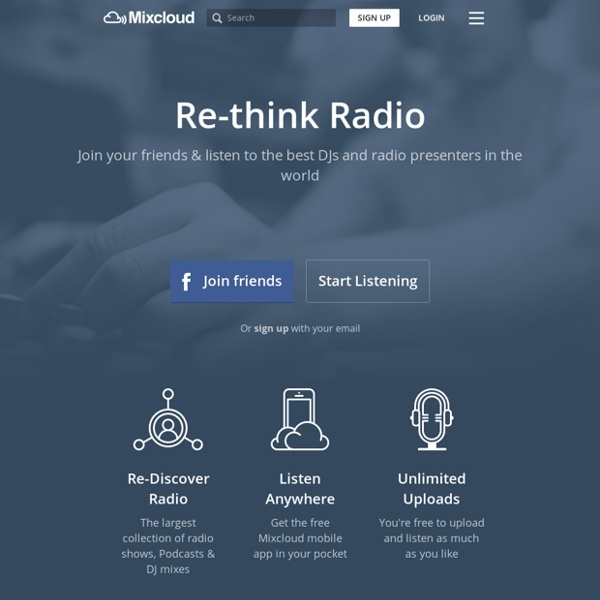 Radio on-demand has mostly consisted, until not long ago, in radio stations recycling already aired shows for their websites. The ilegal downloading activity has never happened in radio – as in TV -. Many reasons for that, not important now. More than a decade ago, the first audio formats created for non-linear listening – pretty amateur until recently -, podcasts, showed up. No, this didn’t happen exclusively, more easily or faster on audio than in video (does YouTube ring a bell?). And platforms for on-demand audio started popping-up: Stitcher, Spreaker, Audioboom, Soundcloud, Mixcloud, etc. Besides independent podcasters, new online radio stations, aware of the importance of non-live listening for them. However, radio – in general – kept doing the same thing: using on-demand as the final destination in the life cycle of on-air radio content. In a previous article I hoped this common practice would be challenged. I believe there is a huge opportunity in non-live radio content, beyond recycling. 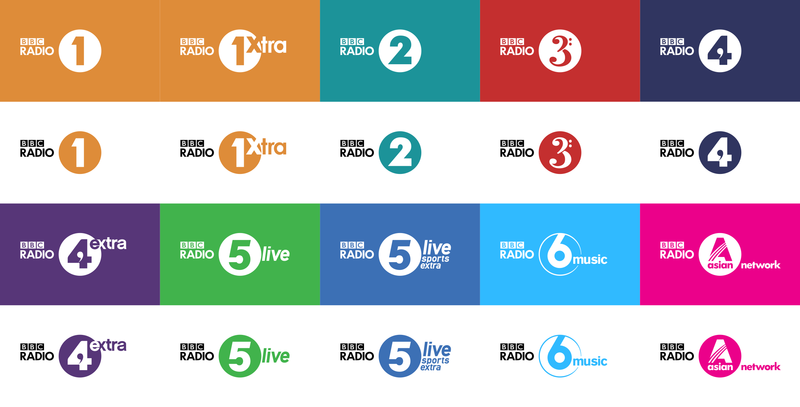 And it seems organisations like BBC Radio are seeing the opportunity as well, even changing the traditional life cycle for radio content by turning the from live-on-air to on-demand-on-line route. BBC Radio recently announced the launch of Online First listening. A number of speech-based programmes from BBC stations Radio 2, Radio 4, Radio 5 and Radio 6 will be appear first online, and not on FM as they used to do until now. These shows will be released up to seven days before they are aired. Online First will include drama, comedy and factual programming. I’m delighted that we are developing new ways of listening that can bring our unique and brilliant speech content to an even wider audience. Live radio is still how the vast majority of us listen but innovations like this give audiences more choice, control and convenience in how they get the radio they love. I agree BBC Online First is and interesting innovation and I’m also delighted they are addressing new ways of listening. The way we (and young audience specially) listen to radio – like the way millions watch TV nowadays – is changing forever. Radio needs, not only, to adapt to change, but find the opportunities within. NextShould/could record labels reinvent themselves?